Hollister, CA - Another Corb-innovation! 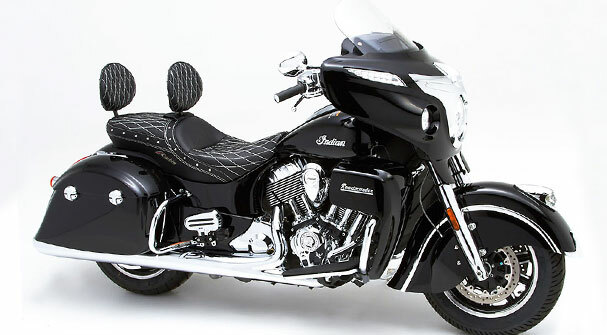 This newest version of our extremely popular Dual Touring saddle is the World's first production Heated AND Cooled motorcycle saddle*. 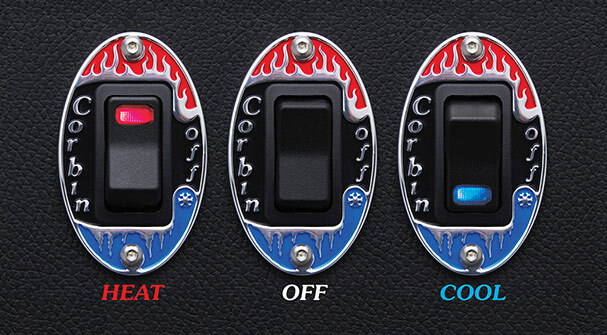 That's right, Corbin was first to bring the luxury of heated seating to your motorcycle and now we've created an option for relief of your burnin' bum during the Summer months. Like all Corbin break through innovations, this system is designed for simple installation and is fully self contained in the saddle. support and eliminate hot spots and pressure on your tailbone. 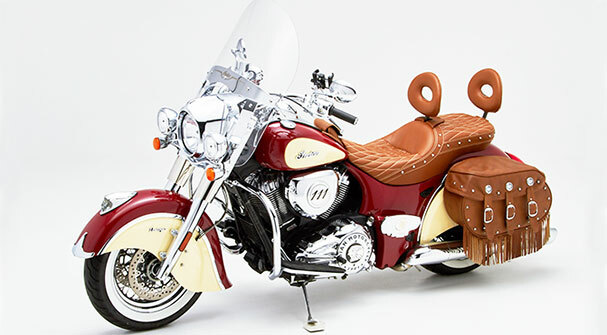 NOTE: This version of Corbin's Dual Touring Saddle is designed to work with two Corbin backrests or our Tourbox, but will not work with the Indian sissy-bar or Roadmaster trunk. 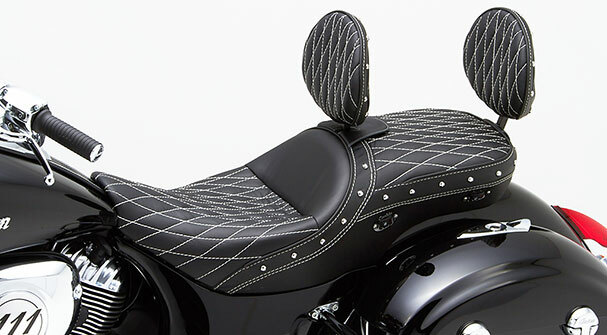 Click HERE for a Dual Tour saddle that will work with the sissy-bar. : Ever hear of the Peltier Effect? 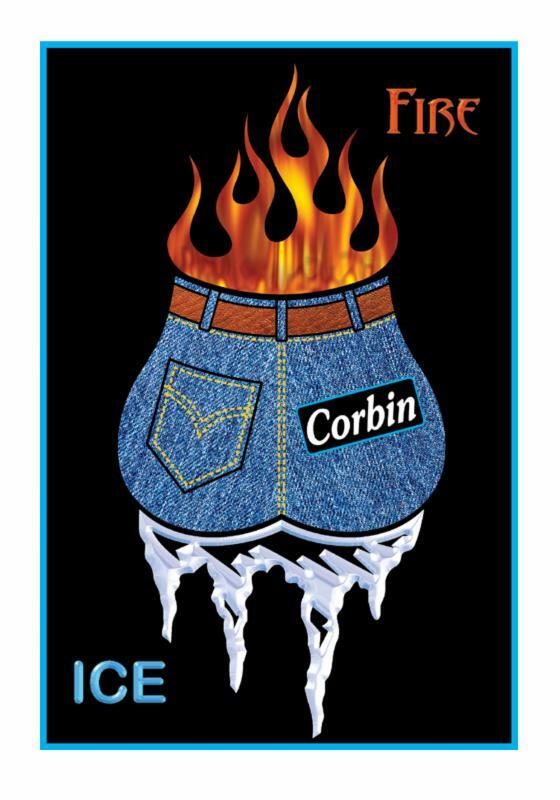 If so, you've probably already figured out the basics of how the Corbin Fire & Ice system works. 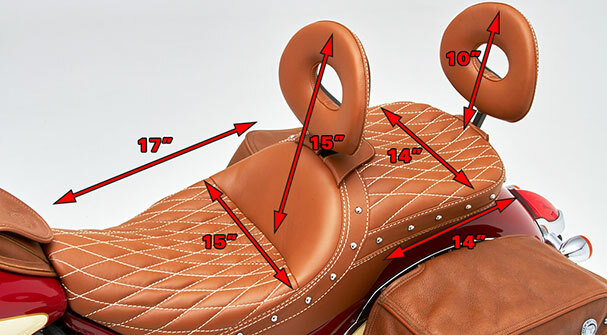 With just a couple of fans and some clever application we can include both heat and cool in the same saddle without pumps, compressors or fluids. It should be noted the cooling effect is affected by ambient temperature. 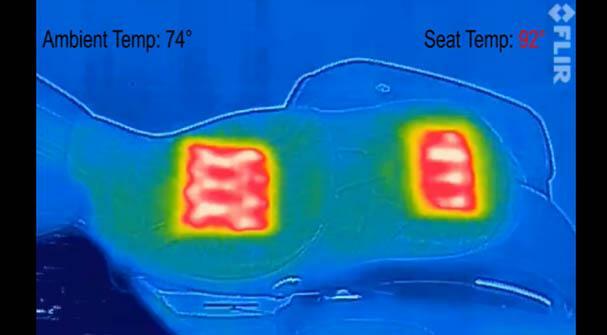 In our samples the room temperature was 74 degrees and it took just a few minutes to cool the seating surfaces down to a chilly 63 degrees. In our continued tests, the system quickly cooled the surface 10-15 degrees below ambient temperature. On the heat side we thermostatically set it to top out at approximately 110 degrees. This upscale event is over the top with flawless presentation, top notch food, a beautiful location and some of the finest motorcycle collections in the world. We are quite pleased to host a display at this event as well as being a contributing sponsor. Hope to see you on the green at Pebble Beach's Quail Lodge!